Jin Zhan Yin Tan 金盏银坛 means Golden Cup and Silver Base. 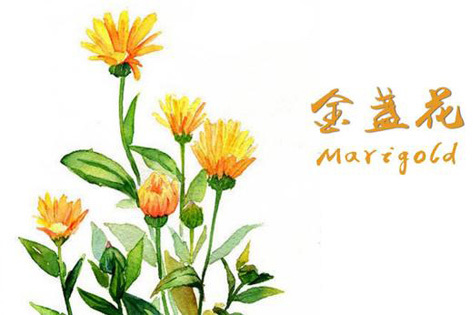 It happens there is one flower called Jin Zhan Hua (Marigold) in Chinese. 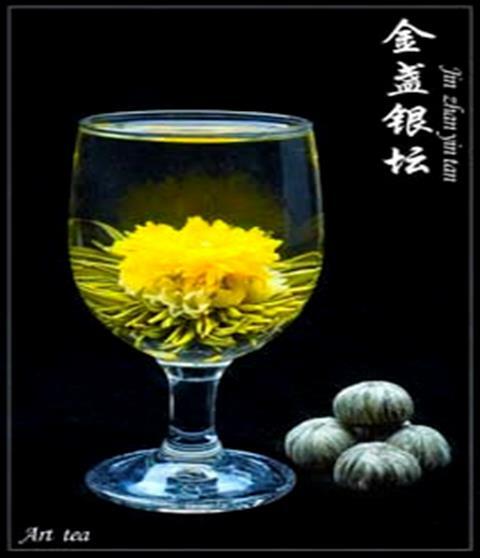 That’s why the blooming tea Jin Zhan Yin Tan was created. 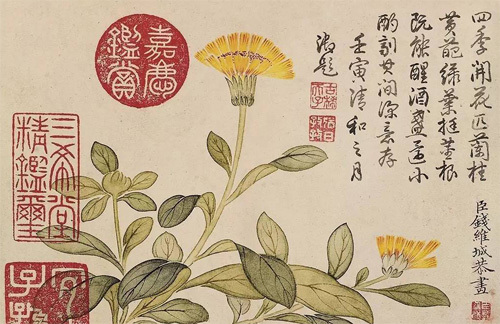 In this art tea, the yellow marigold flower is put on the silver needle tea base. When infused, it opens as in the nature. In Chinese folk culture, Jin Zhan Yin Tan (Gold plus Silver) indicates wealth and nobility. In Qing Dynasty, the emperor Jia Qing even asked one of his ministers Qian Weicheng, who was very good at Chinese painting, to make one picture of Jin Zhan Hua. Now the picture is still kept, with the emperor’s special stamp.